Given the increased stakeholder focus on sustainability, companies are facing the challenge of systematically collecting and processing sustainability information. Identifying sustainability indicators will become imperative for small and medium-sized enterprises (SME), especially in the extremely segmented and highly specialized food industry – entailing opportunities, but also costs and risks. This article is a management approach and a basis for discussing the classification of sustainability reporting systems in existing Information Technology (IT) infrastructures from an economical point of view. Supported by a case study from the meat industry, the authors discuss to what extent sustainability information is reflected by an existing Enterprise Resource Planning (ERP) System, or which investments would be required for companies to facilitate the communication of sustainability data. Additionally and as a result, the article gives a schematic explanation how process changes can be evaluated economically by capturing and processing sustainability information, and thus how to decide in favor of or against a certain level of IT-based environmental information processing functionality. 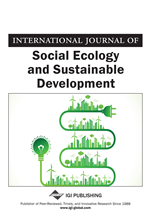 The exploratory approach of this article is methodologically supported by a summary based on literature research presenting the economical importance of sustainability (Chapter 3). In particular, the impact of IT systems for generating sustainability information as well as the special requirements of SMEs will be elaborated in this context. Focusing on the food industry as object of experience, the object of understanding, i.e. the process integration of sustainability, will be examined by means of a case study in a selected food company of the meet industry (Chapters 4 & 5). This case study was conducted in the scope of a Master thesis in 2011. The case study has been used to thoroughly understand the various aspects of the phenomenon investigated, especially with reference to the study of small and medium sized businesses which are widely used in the SEAR research field, too. The preceding random survey of 2011 (Chapter 4) was designed to investigate the aims and objectives of this study. It is used for the monitoring characterization of the object of experience and does not claim providing representative results.